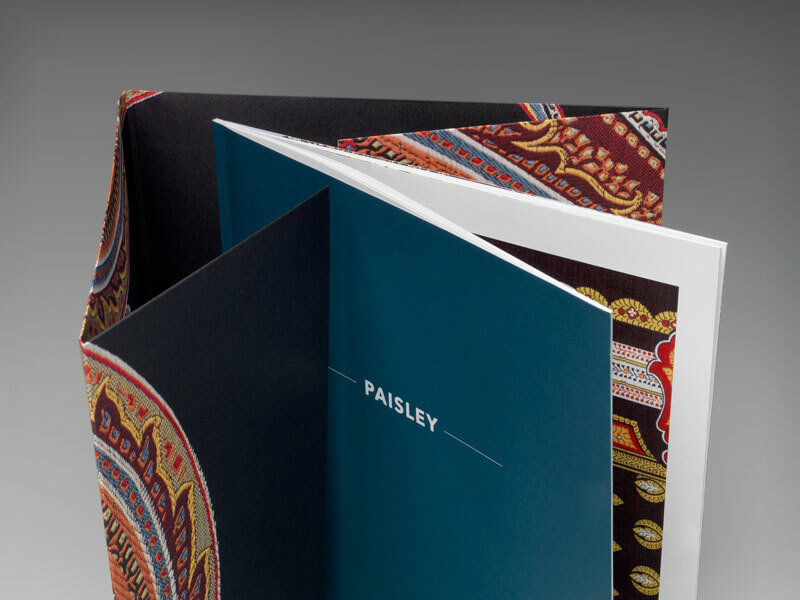 To accompany their latest exhibition, Paisley, the School of Visual Arts worked with Brilliant to create a catalogue that carried a paisley motif through to the end. 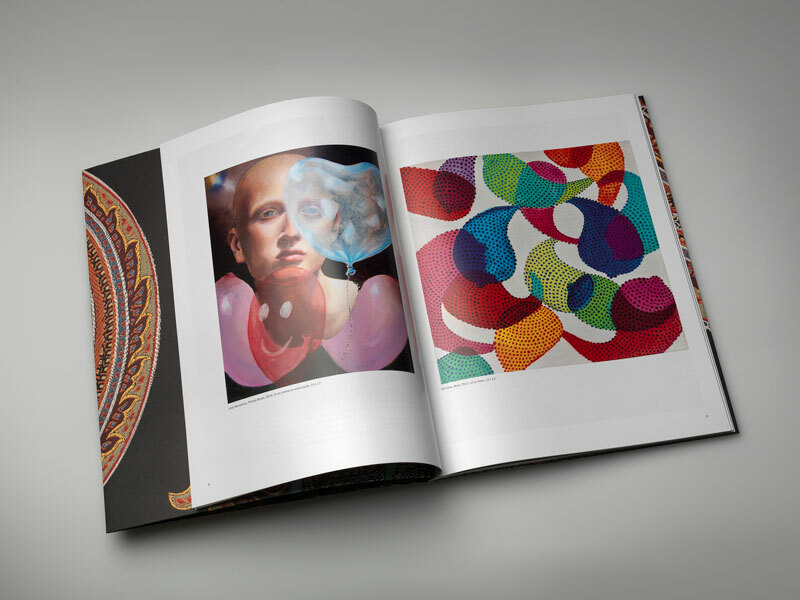 The catalogue is filled with intricate objects, photographs and textiles found across countries and over centuries that depict the shifting interpretation of the paisley pattern over the years. 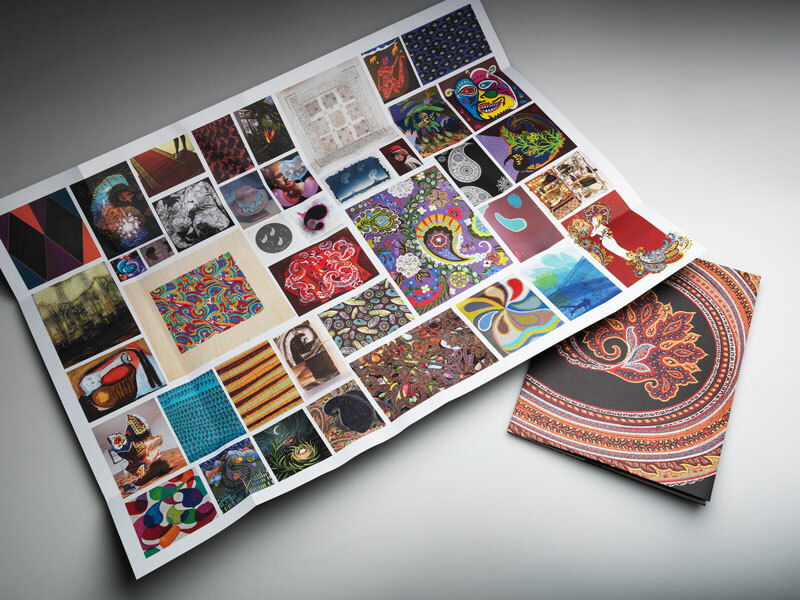 The outside cover of the production is unique in itself – the piece unfolds into a stunning, paisley patterned poster. 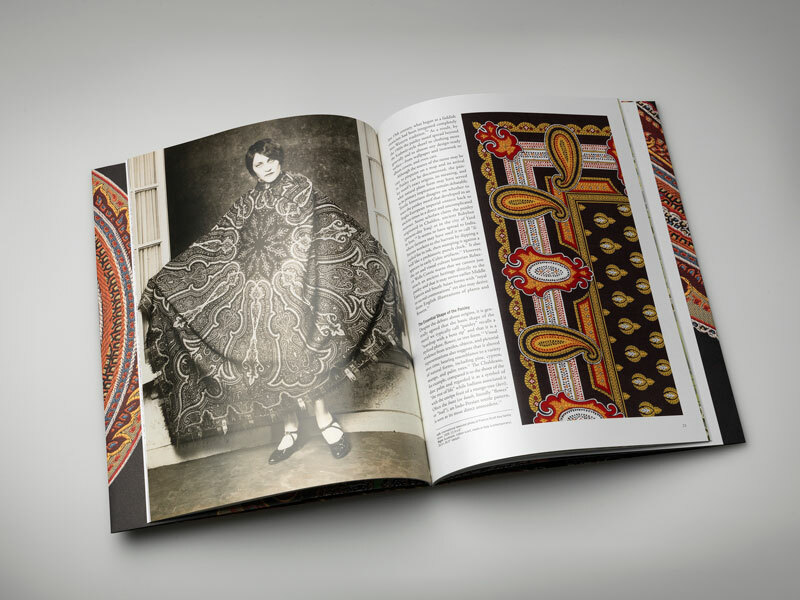 The striking collection of images in the catalogue perfectly captures the paisley motif’s meaning in different parts of the world. 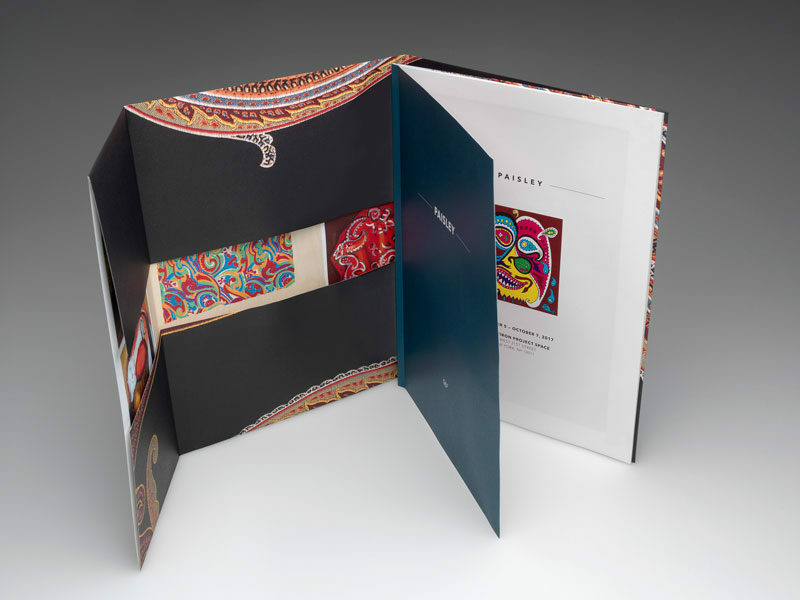 38 pages plus a cover wrap. Text pages printed on 80# Flo Matte Text. 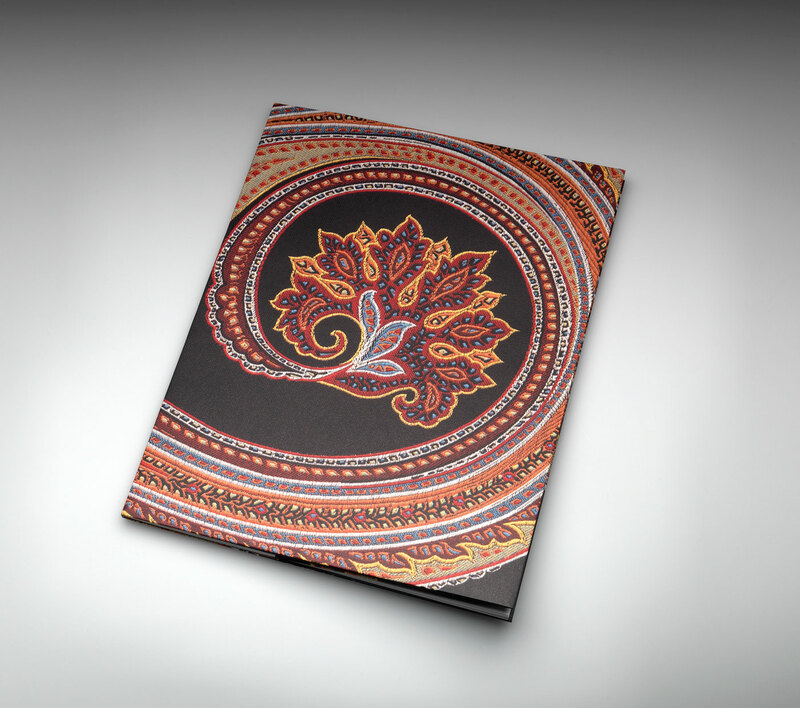 Cover printed on 80# Crystal White Options Smooth Cover.